The hot, dry, windy months of spring are here. I am using lots of water on the garden and there is no rain in sight to refill the tanks. 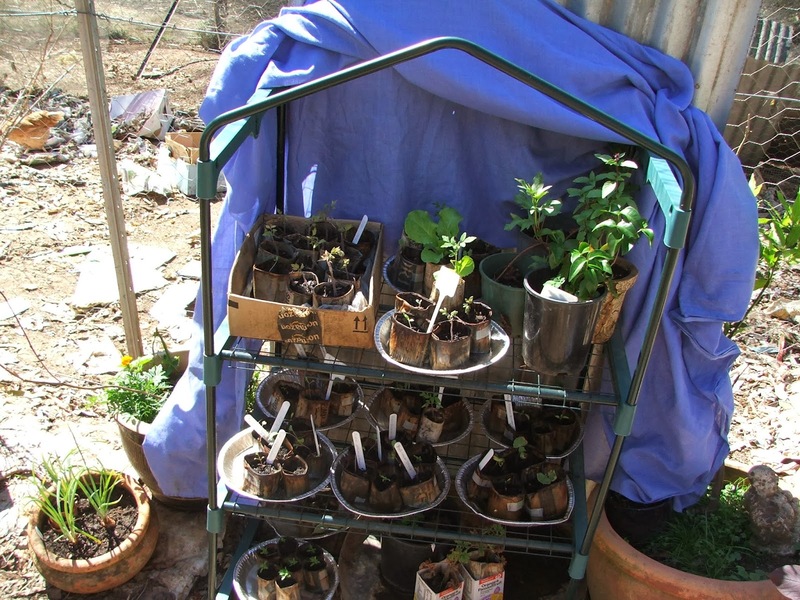 I water the garden with the water from the washing (about 160 litres a week) and from the chook and sheep water buckets when I refill them (about 30 litres); I also use about 20 litres a day straight from the tank to water the seedlings and potted plants. I am happy to be re-using the water from the washing and animal waters but I think I need to start putting a plug in the bath when we shower too, so I can scoop it out and water more. This drying wind really affects the vegetables. 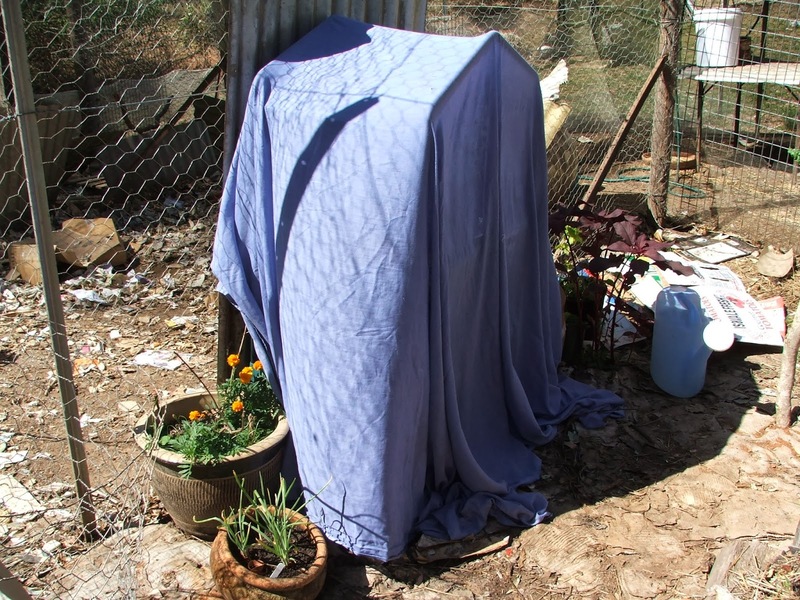 In an effort to save my seedlings and tender plants, I have been covering the seedling hardening off area with old sheets to conserve water and provide a little shade. Happy seedlings in pie trays to give them time to soak up the sprinkle I give them every day. 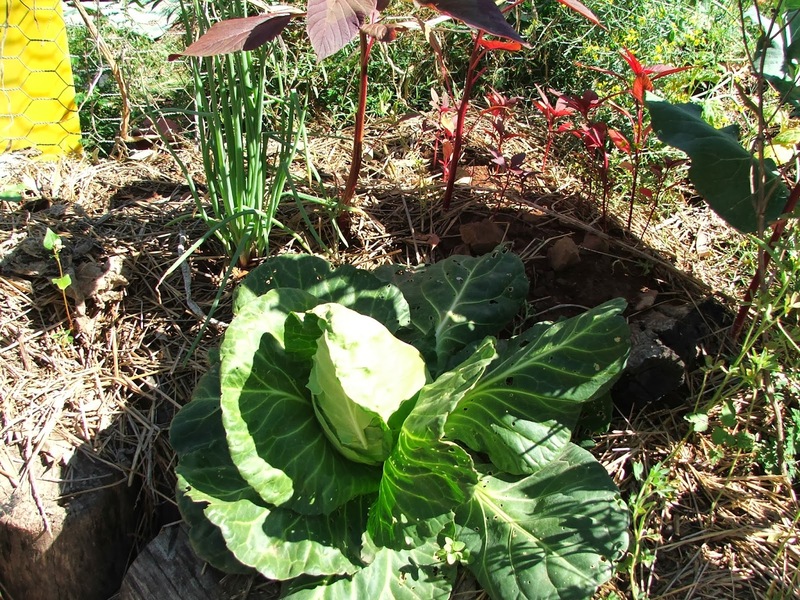 In the Hugelkultur beds everything is growing well. I still only water these beds once a week with the washing water (about 80 litres). This bed badly needs re-mulching to further conserve water (that is my goal for this week). I know it looks dry, but the soil under the plants stays reasonably damp. 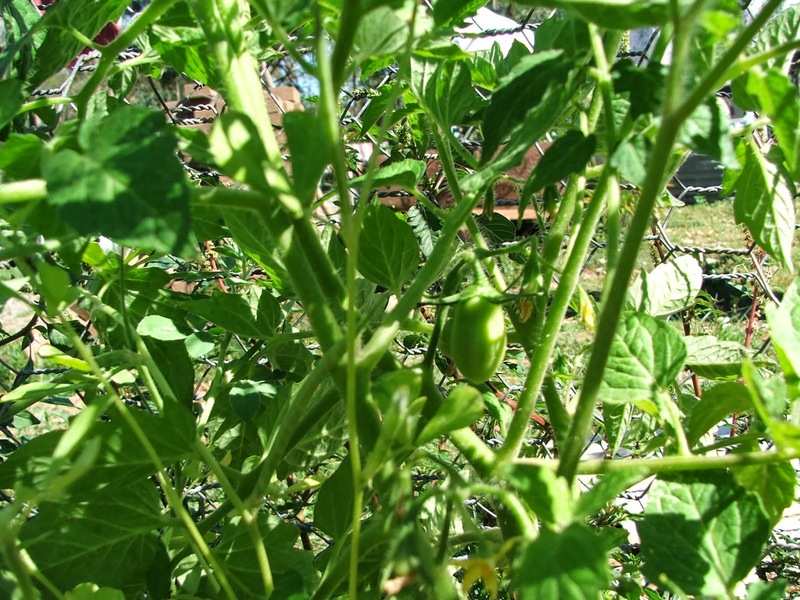 Roma tomato, just little fruit at present. 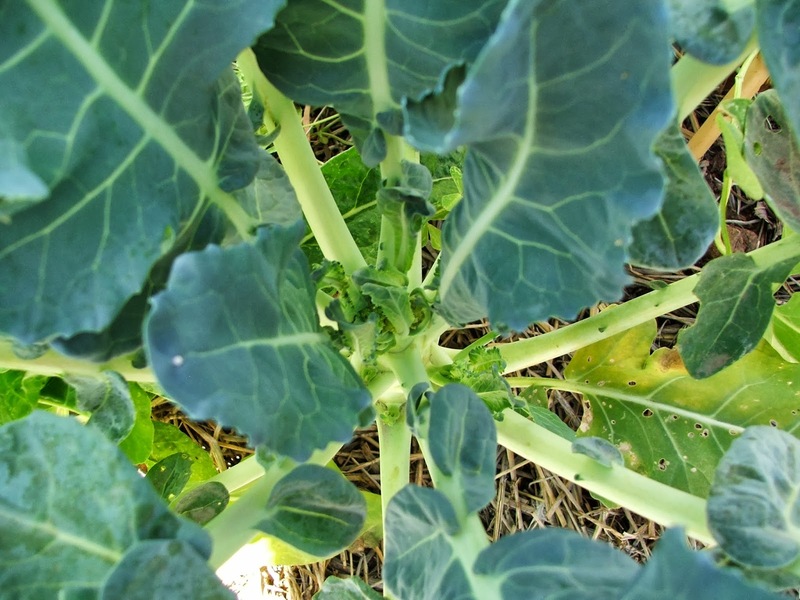 brocolli, just starting to bud. 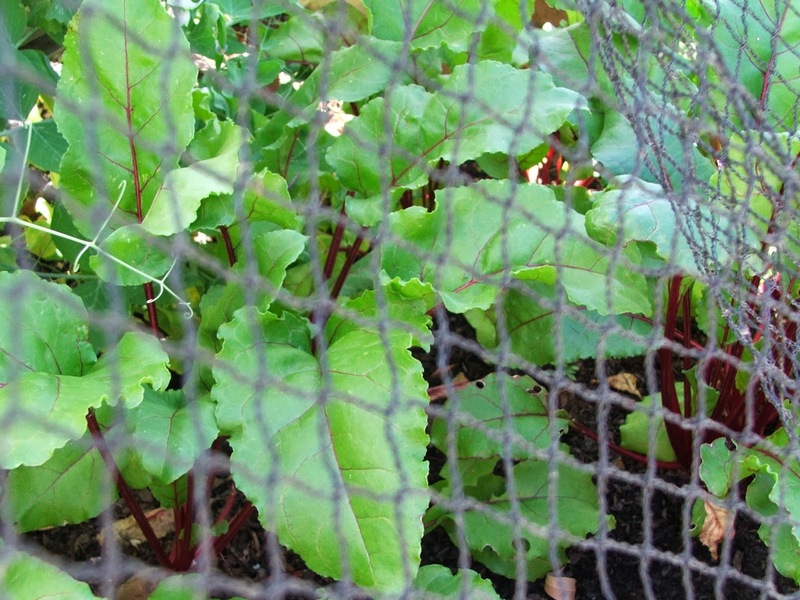 And good old silver beet. 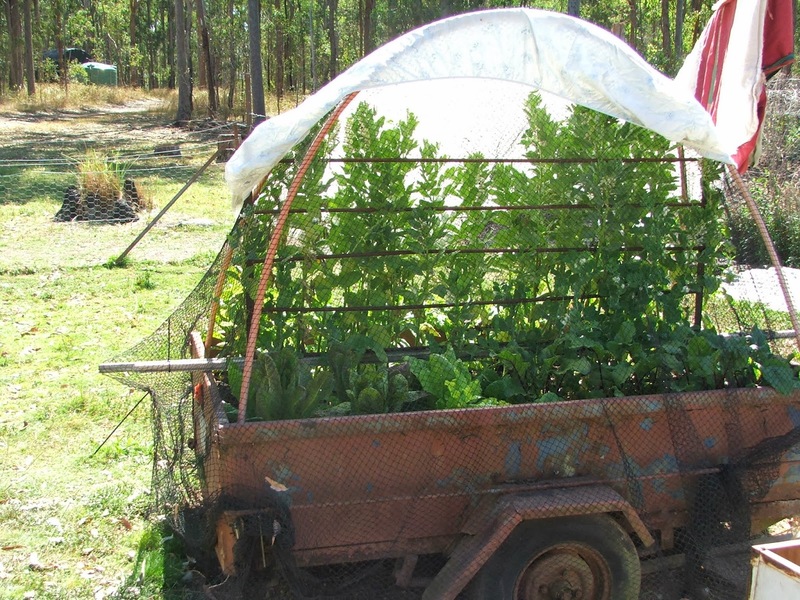 The trailer bed has broad beans and some really late snow peas; so I covered it to provide some protection from wind and sun. We might get lucky and get a crop. 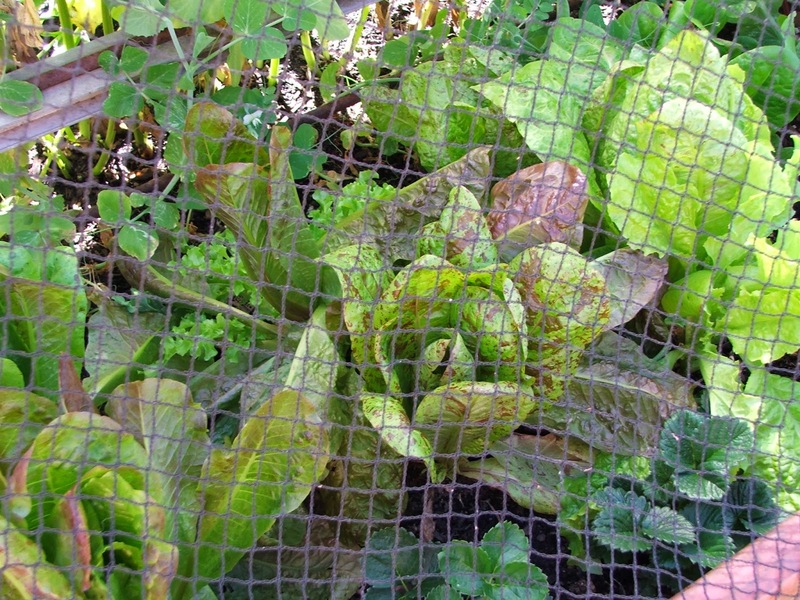 The heirloom lettuce in the trailer bed is going well and we eat off it every day. It does look dry. You'll probably get broad beans. 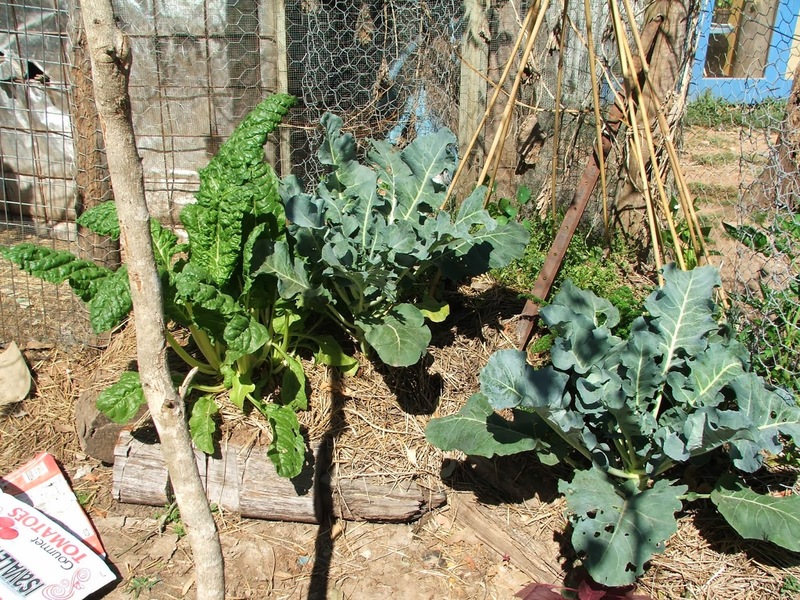 We got a crop last year in hot and dry conditions and clay soil (the plants were much smaller than your are). Lots going on! *sings* Mulch mulch mulch….muuuulch muulch….. Yes, mulch is the best thing to combat the dry times. This year we had far more water than needed, last year this was completely different. And mulch has performed well in both situations. Love your trailer bed idea. 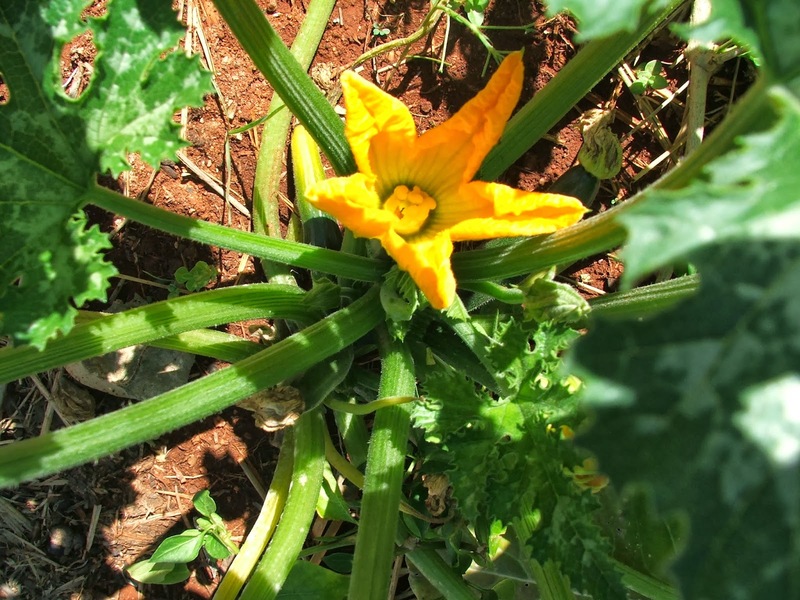 I hope we get a crop; they are my partner's favorite vegetable. He bought the seed himself (rare) and even checks on them now and then (rarer). There isn't as much going on as I had planned this holidays but there is always next holidays right? Yes, I agree; mulch is the answer to the world's problems. I use the bedding from the sheep shelter for mulch, it's straw with sheep excreta mixed in (and bits of wool at this time of year). 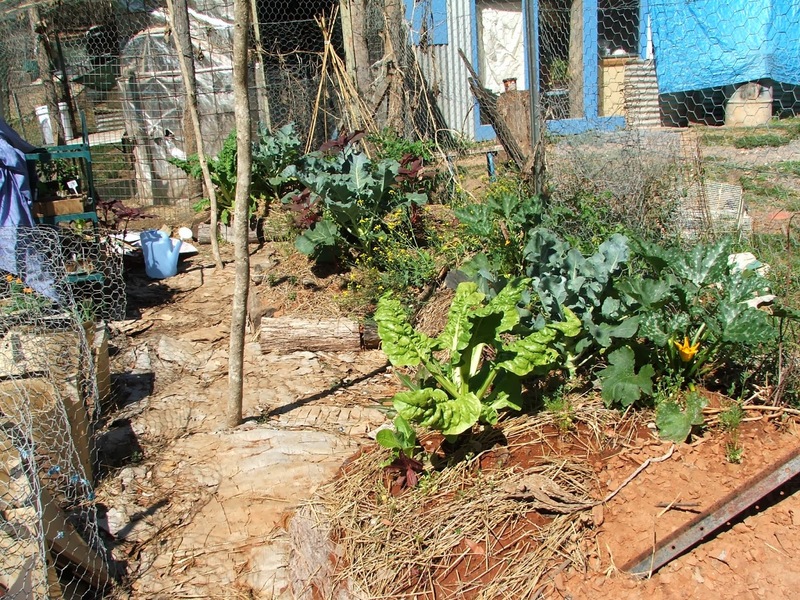 The garden seems to love it, I usually leave it to compost down a little bit after I clean the shelter, hence the delay in getting it on the beds. I do need to source an on-property form of sheep bedding though, instead of buying bales of straw.